Unjo once again participates in Europe’s leading exhibition for smart and digital automation in hall 4, stand 226, meet us between 27th and 29th November 2018 in Nuremberg. At SPS IPC Drives you will find tailor-made solutions and experience the world of smart and digital automation of tomorrow. The exhibitors are the international who is who of the automation industry with Industry 4.0, digitalization, increasing productivity and new business models are all key digital transformation topics of the SPS IPC Drives 2018. 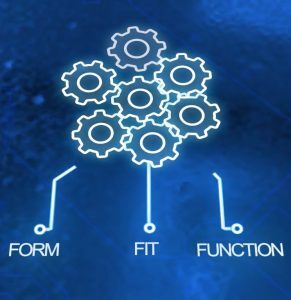 UNJO develops, designs and produces customized motor controllers that increases your products performance by meeting your demands for cost-efficiency and optimized performance by focusing on Form – Fit – Function. We call the power of our collective engineering knowledge and experience Unjo Core™. This is the foundation by which we provide superior motion control, meeting challenging demands from market leading customers, thereby making controls from Unjo your unique selling point. Our mission is to create the optimal solution for each individual customer application. We are responsible for upgrades and maintenance throughout the product’s lifecycle. To meet our customers’ high demands for cost-efficiency and performance, we strictly maintain our technical independence. Please visit us in hall 4, stand 226, to discuss with us how you can get the most out of your unique motor control application.